The online platform for direct and simple investments. 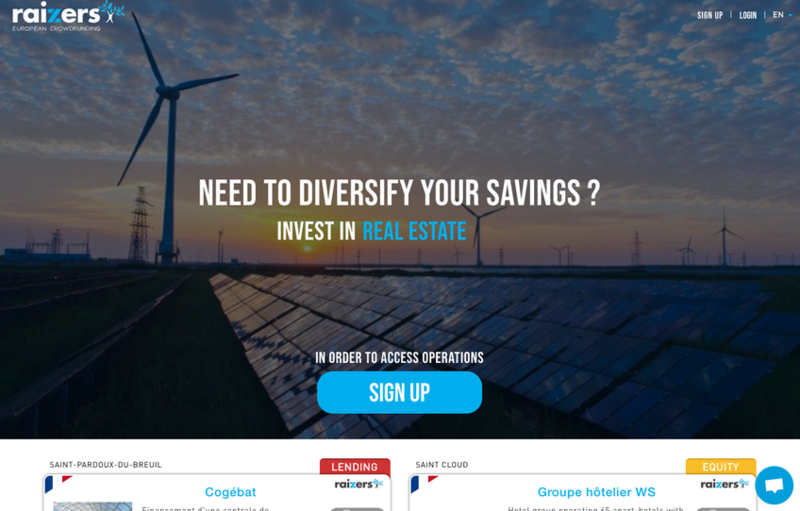 Raizers is an online investment platform that allows every person or company to build and follow its own portfolio through a full catalogue of European SMEs, selected by our analyst's team. Since its accreditation as Participative Investment Advisor in France, Raizers opened offices in Switzerland, Belgium and Luxembourg. More than 13 million euros were invested since then on 30 operations (real estate, innovation, industry, hospitality, etc) by our 32 000 members from 80 nationalities.